Errandonnee: Creeping Across The Finish Line. Yes, I have finished the Errandonnee.This news will doubtless come as a relief to any non-utility cycling readers. Will my control card pass muster? Time will tell. My documentable errands had dropped off throughout the week and the last ones were completed over the course of a few days. There were a some trips that could have qualified but as in the case of shopping for my wife’s Valentine Day gift, I choose not to regard them as errands. Thanks to MG for organizing the Errandonnee. It has put a bit of fun into the daily drudgery of chores. ERRAND #9, Friday, Trip to the bank. 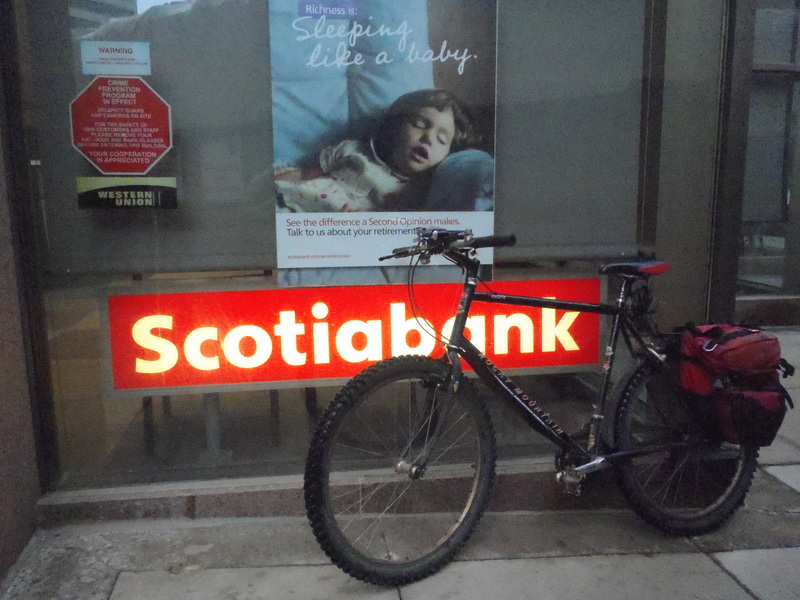 On the way home from work I detoured to downtown to deposit a cheque at the bank. The weather was so fantastically and unseasonably warm that I cycled home without a jacket, hat or gloves, just because I could. For those who doubt, I have photographic evidence. The Errandonnee rules state that participants must record an observation about each errand. In the Sherlock Holmes story ” A Scandal in Bohemia” Holmes points out that he is in the habit of observing his surroundings whereas Watson is not. He illustrates this by asking if Watson knows how many steps there are in the stairs leading to the the Baker Street flat they have both walked up so many times. Watson of course does not know, whereas Holmes has the ready answer: 17 steps. In this spirit, I observed the number of steps leading up from the river valley to the Hotel MacDonald. ERRAND #10: Sunday. Trip to the Post Office. 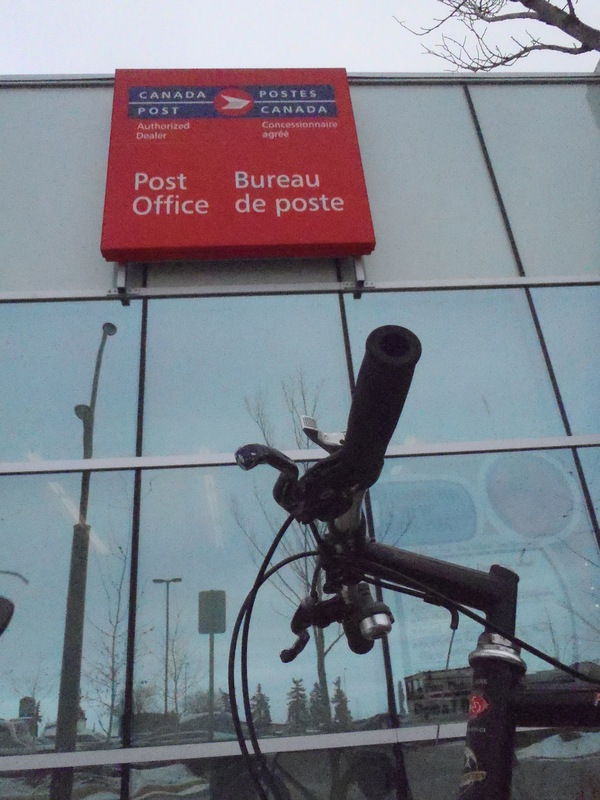 I made a rare trip the post office to mail a post card to the States. My neighbourhood office closed a year or so ago and now I usually use the one at Kingsway Mall. While there I observed that not the new LRT line under construction seems to be creeping towards completion. I imagine the winter slows things down somewhat. ERRAND #11: Monday, Trip to Bikeworks North to work on one of my bikes. 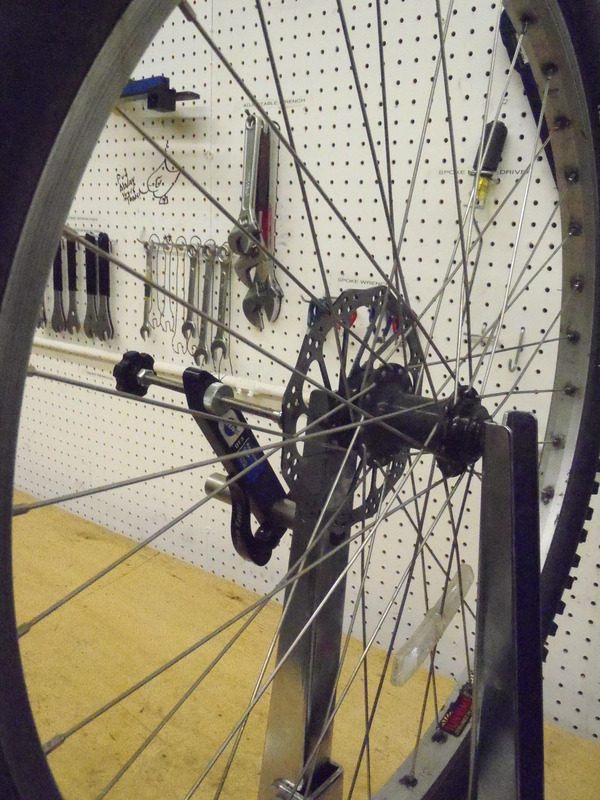 A significant perk that comes with being a regular volunteer at Bikeworks is access to the shop after hours. I could probably count this errand in the Bike Shop category but I think it’s better to use my wild card for this one. Today I was finishing up my “Ravine Bike”. I found this abandoned bike when volunteering at a ravine clean-up last spring. It was missing many parts but over the months I managed to cobble enough together to resurrect it. Today’s mission was getting the brakes working properly. I had tried once before but it’s the first bike I’ve worked on with disc brakes and I didn’t quit get it right. I rode the nearly brakeless bike very slowly to the shop and had another crack at it. This time, partly due to truing the rotors I was able to nail it. As of today this bike is complete and ready to ride. 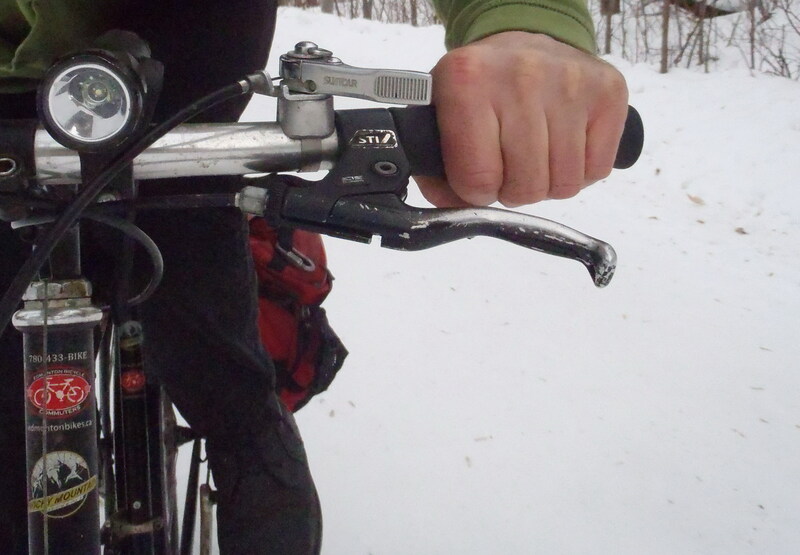 While riding to the shop I observed that the shocks work much better at -7ºC than in the -20ºC I last road this bike in. 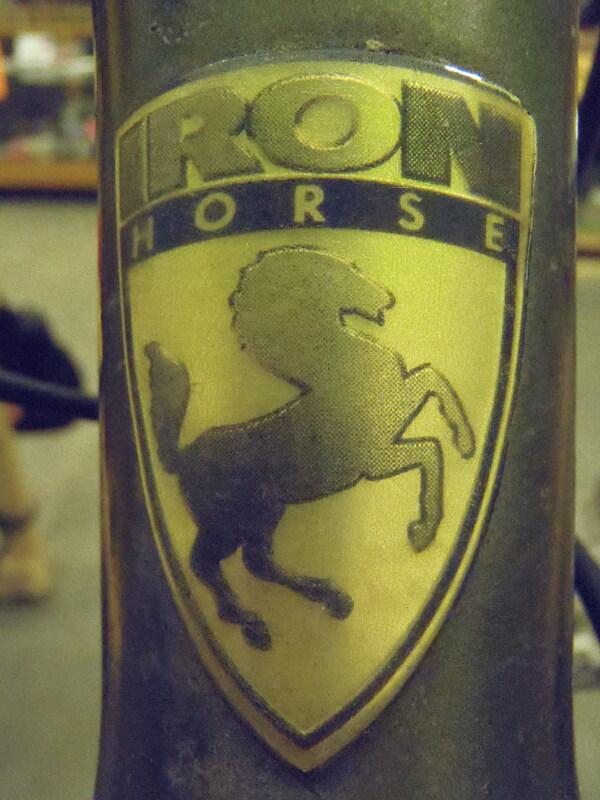 I’m not ready to reveal the bike itself yet, but will feature it in an upcoming blog post. You will find a small hint below. ERRAND #12: Monday, Bargain hunting at a local thrift shop. Once or twice a month I usually drop by one of the second-hand stores to look for bargains. Lately, I’ve been having a good run with the best finds being new or like-new merino wool clothing and gore-tex outerwear. The store I visited today seems to have been getting shipments of brand new clothing from a major work wear store, so I was hopeful. I tried on a new pair of good quality steel toed work boots. They fit well but were heavily insulated and not suitable for my purposes so I left them for somebody else. 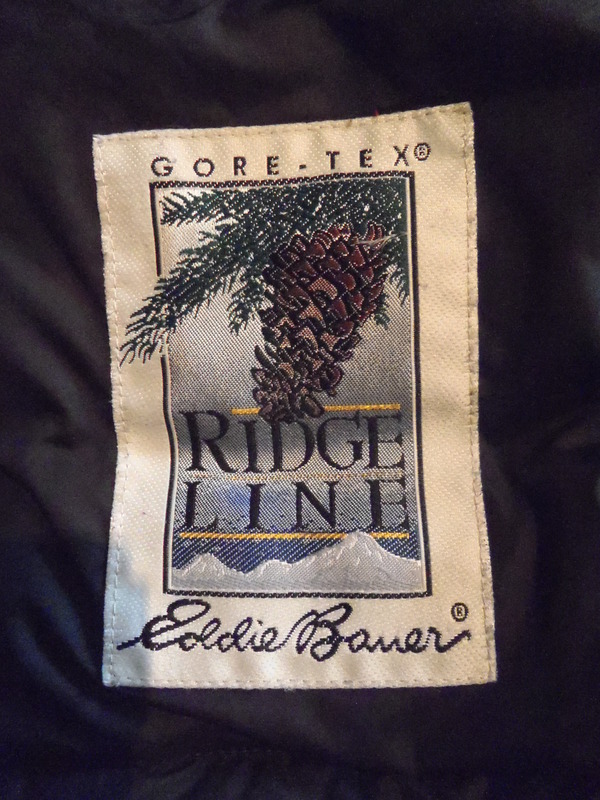 The big find today turned out to be an Eddie Bauer Gore-Tex parka with goose down fill. This thing is so warm that it’ll have to be pretty cold out to use it. I certainly won’t be cycling in it. Wearing it, I felt a bit like George from Seinfeld. It was missing the hood, but for $30.00 I brought it home anyway. 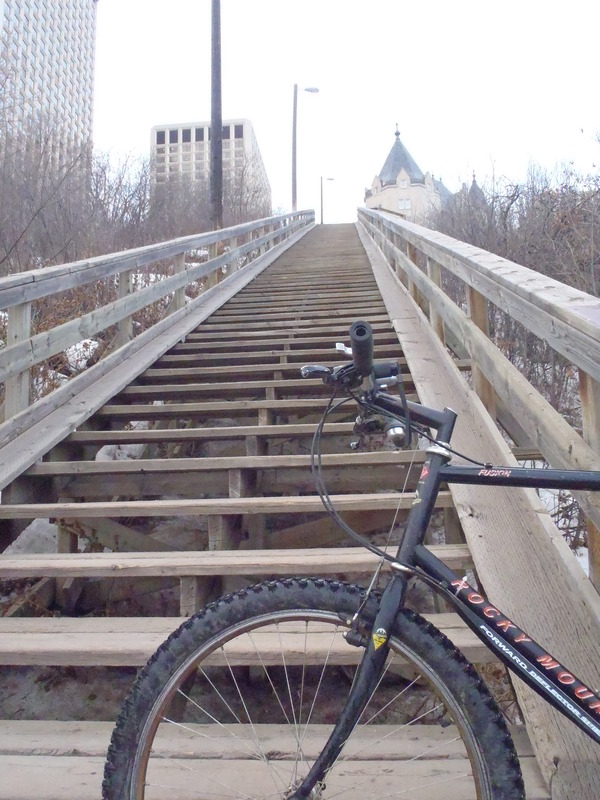 This entry was posted in Bike Repair, Cycling, Utility Cycling, winter cycling and tagged Bicycle, Bike, bike repair, cycling, Edmonton, errandonnee, utility cycling, Winter, winter cycling by tuckamoredew. Bookmark the permalink. 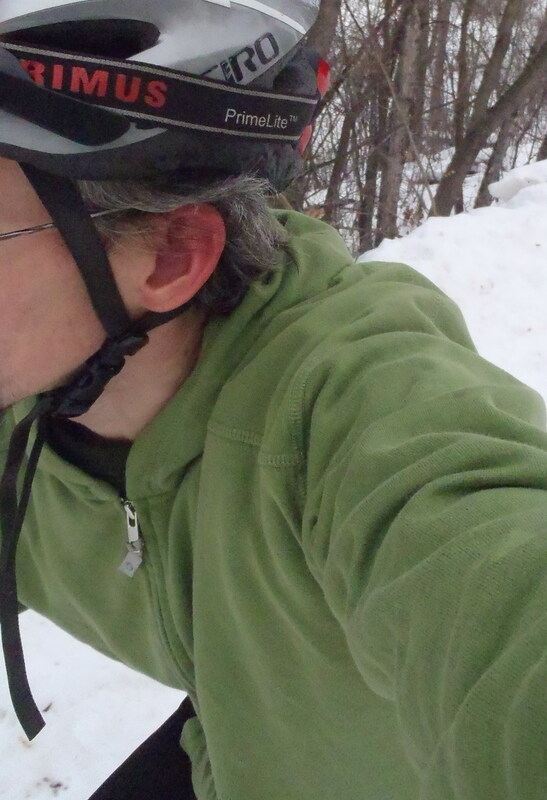 You are awesome for biking in the winter! I’m jealous…I still am not that good and the streets here are pretty icy downtown. Thanks! I’m finding my new studded tires to be a big help with the ice. The most impressive thing about this entire post is that you were smart enough NOT to categorize shopping for a Valentine’s Day present as an “errand.” Pure genius, that. Thanks. A shopping trip like that should be and was pleasure. Another useless bit of information to fill up what Holmes would all my “brain attic”. Mine is full and stuff is leaking out all over the place. Does cycling to work and back count…as an “errand”? 😉 After all, when earning money, it’s quite utilitarian. On winter weekends, I do end up doing at minimum 5-6 errands. We don’t have a car….car-free last 3 decades. According to the rules of the Errandonnee, work counts as an errand but each category could only be used twice during the challenge. We are non-automotive family as well. If there were a car in the garage I have no idea where we’d store all our bikes.